Tohoku has plenty of interesting places, such as places where nature remains, historical buildings, delicious foods and so on. You can enjoy autumn leaves in autumn. Of course, I want you to go to famous sightseeing spots and enjoy it. However, I would like to recommend various events held in Tohoku this time. This time I would like to introduce some of the recommended events to be held in October. Omagari Fireworks Festival is held in Daisen City, Akita Prefecture. It began in 1910 and is the 91st year this year. a number of prizes by prime minister, and other ministers. The most remarkable fireworks are “Wide Starmine” which are launched continuously. It takes a year to make them. The theme is “Fireworks Theater -Full Bloom in Akita-“ this year. We can watch many shows such as a festival of Akita, some shows by young craftspersons and fireworks musical “Lion King” and so on. In addition, special extra-big fireworks color the autumn night beautifully. This is a traditional competition with fireworks craftsperson’s pride and passion. It must be worth a look. Why do not you watch with your own eyes? Rain or shine, If river water rises to riverbed, it will be postponed the next day. Omagari Kanaya-cho, Daisen-city, Akita Pre. The Scarecrow Festival is a historical autumn festival that represents Kaminoyama since 1971. During the festival, there are over 500 scarecrows lined up in the venue. Scarecrow is a doll made with bamboo and straw, to stand in the field to prevent birds and animals that would damage crops. This year, many original scarecrows which is traditional ones and imitating a popular characters and sports players are collected at Tsukioka Park. This event is loved by every generation. During the festival, some shops sell the local specialities in Kaminoyama. You can taste popular food in Yamagata like ‘Tama-Konnyaku’ and ‘Imo-ni’ at a food court. You can also join daily events such as ‘National Screaming Competition’, ‘National Flying Shoe Competition ‘, ‘Standing on One Foot Competition ‘ and so on. 2012, Horinouchi, Uonuma-city, Nigata Pre. “Jugoya Tsukimi-kai” (Full moon viewing) will be held at the Japanese garden “Suiraku-en” in Nanko Park. It is said that Nanko Park is the oldest park in Japan. It is built by Matsudaira Sadanobu, the lord of this area in the Edo Period and was designated as a national historic site and scenic spot in 1924. There is a prefectural nature park around Nanko Park. Nanko is selected one of the greatest reservoirs in Japan. You can see cherry trees, pine trees and maple trees there, and enjoy cherry blossoms in spring, fresh green in summer and snowy landscape. In October, it is time to enjoy beautiful autumn leaves. Full moon viewing is a Japanese traditional event to see moon and have a small party. You can see about 500 bamboo lanterns and enjoy listening to music and tasting maccha and sweets there. Let’s take a walk through the beautiful Japanese garden. 45-1, Gorokuboyama, Shirakawa-city, Fukushima Pre. You can enjoy beautiful and magnificent valley on Abukuma river boat tour. Abukuma river is the second longest river in Tohoku and used to be an important transportation route until the beginning of the Showa era. In the Edo period, people carried bags of rice on that river. During the Meiji Period, it is used to carry timbers, charcoal and stones. 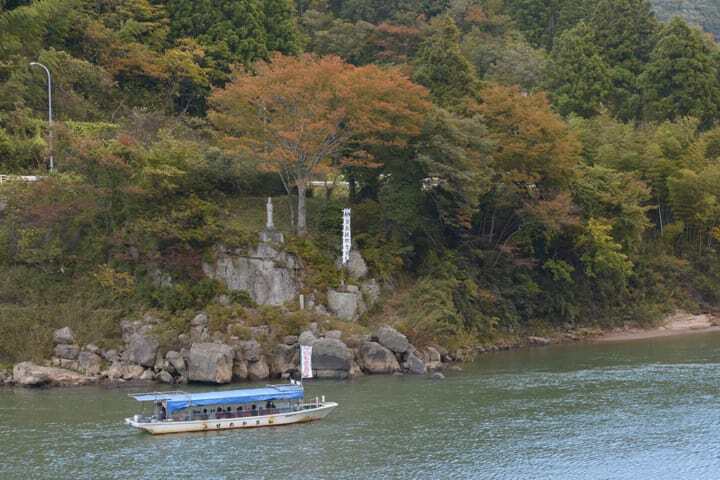 Abukuma river boat tour is held to tell history to future generations. You can ride a ‘Imo-ni boat’ from September 1st to November 30th. ‘Imo-ni’ is a traditional popular food in Miyagi prefecture. On the boat, you can enjoy the contrast of the red leaves on the rock and blue flow of the river, beautiful and magnificent valley created by the river and seasonal scenery eating Imo-ni. After having enjoyed the boat ride, you can also participate in ‘Imo-ni Party’ held at Fudoson Park Campsite. It is also rich in nature and fresh air. Why do not you spend a rich moment to feel the Autumn on the way to the Tohoku journey? 12 Aza-shimotaki, Marumori-town, Miyagi Pre. Akita Prefectural Museum of Agricultural Science is a museum which you can learn about the past, present and future of agriculture in Akita prefecture. It has various facilities including a large lawn area, an apple orchard, a rose garden, a tropical greenhouse and traditional house ‘magari-ya’. Many interesting classes and exhibitions are held there throughout the year. You can enjoy making soba, making herb candles and seeing bonsai display and so on. About 100 kinds of autumn roses will be at their best and their color and fragrance are so gorgeous. You may spend the perfect time for a leisurely autumn day with roses. 171-4 Aza-Nakazawa ,Uchiotomo, Daisen-city, Akita Pre. “Ikasama Race” is famous for a strange race. It is a race to compete as to who can make the squid quickly goal by pushing it with a stick. 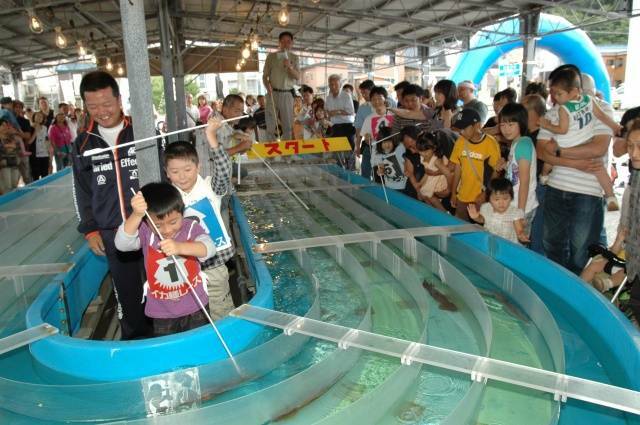 Its course is 20m per lap and they use squid caught in Aomori. Everyone can join it if you buy squid for 500 yen. You can participate as a squid owner and vote by predicting which squid will swim fast. In addition, you can bring home your squid even if you win or lose. If you want, you can eat your squid as sashimi there. People staying at Shimofuro Onsen can also eat it at your hotel. At first, “Ikasama Race” was held in Ginza, Tokyo to attract tourists to Shimofuro Onsen. Let’s participate in a fun event and eat fresh squid. *In case of stormy weather, the race will be canceled because we can’t get squid. About 3 minutes on foot to Shimofuro fishing port. 127 Ooaza Shimofuro, Kazamaura-village, Shimokita-gun, Aomori Pre. The Sendai Classic Festival (called “Senkura”) is a festival of classical music to be held every autumn. In October 2006, it started with the desire to enjoy classical music with more people and make it more familiar to many people. Many of performers are active in Japan or in the world. Some performers are winners of “Sendai International Music Competition” or who live in Sendai or who are related to Sendai. The concert is very familiar because it has a talking time between performances. It tells you charm of classical music in various angles with programs for everyone, from child to adult, and classical music lovers. It has 45-minute performance and 60-minute performance. 87 concerts will be held at 4 halls on the subway line. Some performances will be held outside in the city. The concert halls and subway stations are filled with music for three days. You should go to several performances to listen to your favorite music, or visit the performances while shopping. 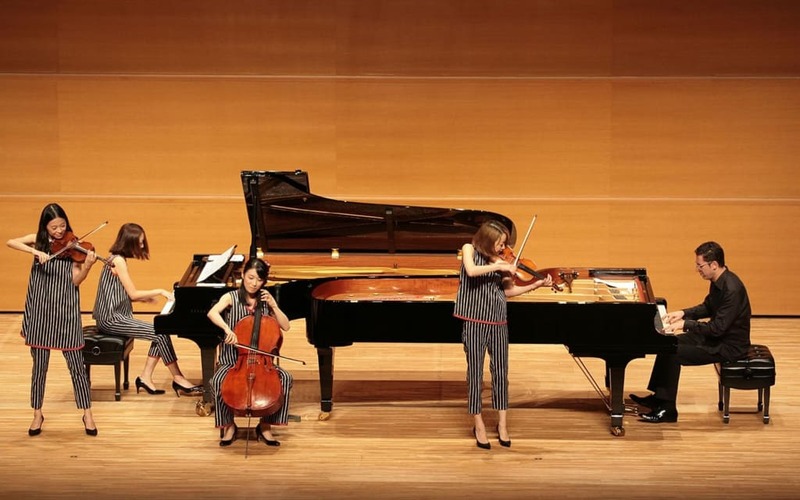 Let’s soak in classical music in Sendai. 3-27-5 Asahigaoka, Aoba-ku, Sendai-city, Miyagi Pre. *Over 3 years old has to pay the fee. *If you will buy the ticket on the day of the concert, you have to pay extra charge 200 yen for adults (over high school students). 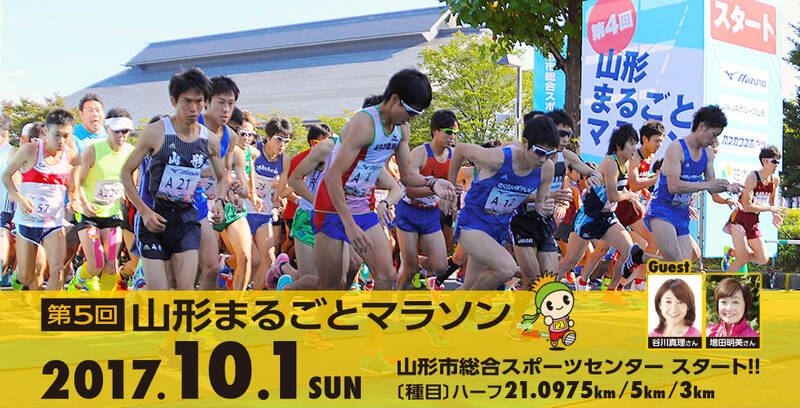 It is the half marathon race to be held in scenic Matsushima. The events are half marathon, 10 km, 5 km, and you can feel free to join it because you can choose it according to running power. In addition to running, you can enjoy “Oyster soup” using oysters of Matsushima’s special products, and get Matsushima Half Marathon Original T – shirt as a souvenir to all. Speaking of Matsushima, although it is one of Japan’s three scenic spots, Matsushima has over 260 large and small islands, and its beautiful scenery is attractive. Moreover, the spectacular view of the islands of Matsushima which you look out from the spot called “Shidaikan” is must-see. There are not only the landscape but also many spots that make you feel history such as Zuigan-ji designated as a national treasure, Oshima written on Hyakunin Isshu, and Godaido, the oldest Momoyama architecture in the Tohoku region, built by Date Masamune. Entries for marathon participants have already been closed, but if you do sightseeing and cheer the runners, you may get well. 1-2, Isozaki Aza Hama, Matsushima-machi, Miyagi-gun, Miyagi Pre. 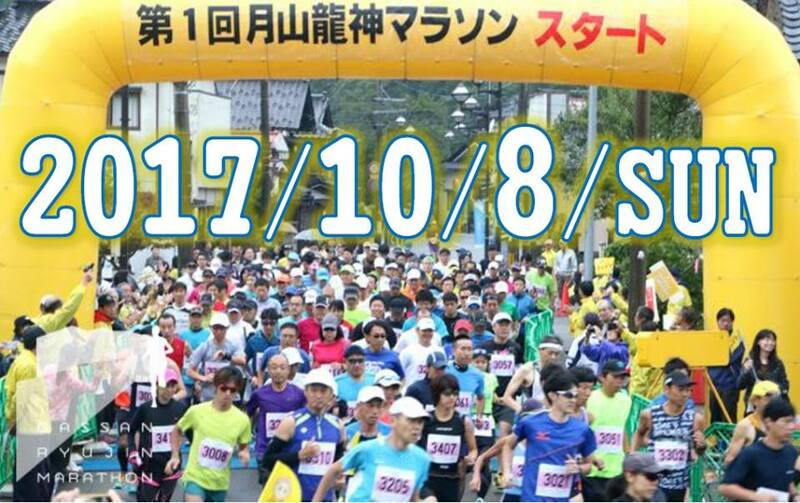 “Yamagata Marugoto Marathon” that celebrated the 5th this year will be held. It has been elected 100 nationwide running competitions for 4 consecutive years. The start and finish points are at Yamagata-shi Sports Center. One of the recommended sightseeing spots in the course is Kajyo Park. Also, you should visit Bunsho-kan, which is the turning point of the marathon. It is the former prefectural office that was enforced in 1916 and has been designated as a National Important Cultural Heritage. It is a historical Western architecture boasted by Yamagata which now plays a role as a place of culture. The admission is free. Another thing you should see is “Nabetaro”. The big pot that is actually used in “Japan’s best Imoni Festival” held in September every year is decorated there. You can cook 30,000 meals in this pot. Please take a memorial photo. The entry for the marathon has already been closed, but why do not you visit the tourist spots and cheer for the runners? 1, Ochiaimachi, Yamagata-shi, Yamagata Pre. 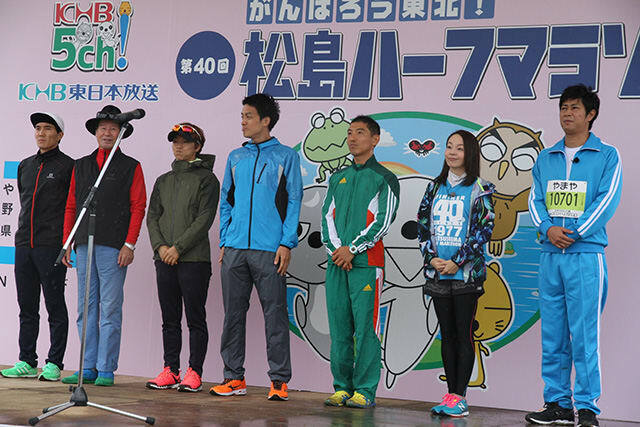 “Gassan Ryujin Marathon” that gets familiar with nature and history will be held. Also, the Tanigawa river is one of the best clear rivers in Japan, with 113 sourses of water in Mt. Gassan gathering. It is said that “Historical village, Kiyokawa”, which was the station of Mogamigawa-Shon, was piled up as the main entrance for praying the Dewasanzan mountrains. The marathon events are half marathon, 10 km, 5 km, 3 km, 1.2 km with parent-child pair. It is also the charm of the Gassan Ryujin Marathon that we can join with our family. At Gassan Ryujin Marathon, which cherishes the contact with the local residents, while enjoying the taste of autumn in Shonai, the most delicious rice village in Japan, at the start and finish points, “Gourmet Village “, you can also enjoy the taste of villages such as rice balls and Imoni (potato soup). Unfortunately, although participants’ entries have ended, why not enjoy watching the marathon race while enjoying Yamagata’s nature and visiting sightseeing spots? It will be on even if it rains. 1-1, Hanazaki, Kiyokawa, Shonai-machi, Yamagata Pre. *The application will be closed as soon as the number of participants reaches the limit.